Authors often tend to be more proficient at getting words on paper than saying them in person. It gives us a chance to pick and choose. But there are no words that cover the loss of a loved one, and that seems even more true when it's a child. 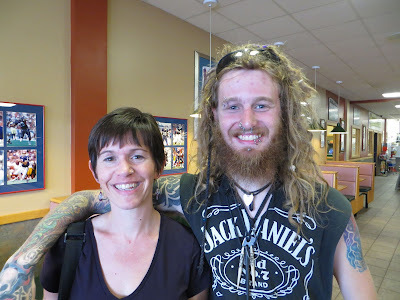 Our beloved Inky Sister, Niki Turner, lost her eldest son Ethan last week. We grieve with her and wish we could grieve for her and somehow reduce the loss or the pain. We will grieve with her and remember that pain doesn't go away. It changes. The best way to express what happened is to let Niki tell it. For some of you may not know that she's also the editor of her local newspaper. Please visit Niki's newsletter article, THE CLUB NO ONE WANT TO JOIN, and then join us in praying for the Turner family. So sorry for your loss, Nikki. I cannot imagine what you are going through. Prayers for you and your family.